On July 23, 2009, I lost my job as a California civil servant. Like many life-changing events, my ‘separation from service’ was sudden; I arrived at my agency’s San Francisco offices at 7:30 a.m. and by 9:00 a.m. I was on the street making my way to BART and the long trip home. A banker’s box containing personal and professional items was all I carried away. The train ride to the East Bay afforded time to consider what I’d placed in that box. There were framed photographs—my children when they were younger, some recent snapshots of my spouse and close friends. I’d included copies of public documents I was proud to have helped create along with postcards received from vacationing co-workers over the years; tucked in a coffee mug were business cards received from a few favorite consultants. Here are eleven years of my life, I remember thinking as I rode BART home that morning. Eleven years in a box. Then came the obvious question: why have I saved these things? 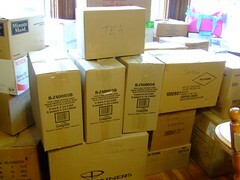 Four months later, with home foreclosure closing in, I was still asking that question, only there were more boxes. The condo my spouse and I had purchased in 2004 was stacked high with them—and at least half predated our move-in day five years previously. Apparently entropy rules when it comes to the way some of us cope with our boxed-up lives. So much of what we accumulate is simply stored away and left to sit, the work of winnowing our clutter having been deemed too arduous. My spouse and I had procrastinated as long as we could. But once we engaged the task, a kind of nostalgia set in. Time and again as we were digging through a box-full of the past came the recollection of how pleased we’d been years earlier moving our things into a new home where we would enjoy the amenities of modern construction: central heat, real closets, the luxury of a large garage. Just think of the storage space! we’d congratulated ourselves. But suddenly, with harsh reality closing in, our accumulations didn’t inspire the same enthusiasm; there was the dwindling savings account, the home worth half what we owed, the decades of living that had piled up to limit our competitiveness in a depressed, youth-obsessed job market. And all those boxes, of course. Certainly we’d acquired plenty in the way of ordinary household items, nearly four tons according to then estimates; and for both of us, the bulk of a lifetime’s possessions took the form of heavy text. For my spouse, a retired chemistry teacher, it had taken more than twenty good-sized boxes to contain forty years of teaching memorabilia, and only a few less for me, whose life and career had been all about reading and writing. Even after multiple donations to regional libraries, we retained many hundreds of books. Very soon everything would be moved to the other side of the country at a cost of 60 cents per pound. By that reckoning my spouse’s teaching career rang up at about $1200, while my professional and recreational literary assets tallied considerably less. Why then had we kept all that stuff through a bewildering number of moves over many decades? Why hang on to so many things in boxes? These questions perhaps weigh more heavily when a person reaches a certain (ahem) age. Right about then some of us begin to question what our lives have been about, and what is necessary to our contentment. And what isn’t. Yet, as my spouse and I prepared to lose our home, I found myself wondering why there was still so much that I couldn’t bear to relinquish. I can think of several explanations for this reluctance to let go. There is the drive to preserve a legacy—a personal history in possessions to be passed on to our descendants. Then again, there is the possibility of something peculiarly American in the acquisition of things rarely used. Perhaps the drive to accumulate is a manifestation of how thoroughly we’ve bought into the notion that things define us, and that the more we acquire, the more we must be worth—which might account for the growth of the self-storage industry. Apparently there is plenty of room for the surplus of our boxed-up lives. A quick Google search reveals that the current area available for self-storing in the U.S. is over two billion square feet. That translates to an amazing six square feet of extra storage per person. Now, at the beginning of 2013, I find myself contemplating these possibilities anew as yet another move looms only a few months hence. And I wonder if all these boxes (many of mine still unopened these three years later) don’t add up to something more simplistic—perhaps an effort, however futile, to forestall the ultimate separation from service, the final foreclosure? Maybe all this acquisition and accumulation is about holding on to our lives for as long as possible, as if by packing away a few thousand tchotchkes we can capture time in a box and stave off the inevitable? As if by clinging to our weighty things we can stay put here a while longer? This entry was posted in Uncategorized and tagged foreclosure story, gay mid-life crisis, job loss, materialism, mid-life memoir, mid-life-changes, personal possessions, recession stories, self-esteem, starting over, storage industry. Bookmark the permalink. Your life … and mine. And how many others’? Once again, Jack, your post resonates! Tonight, we are in the process of putting away our holiday decorations, over 16 trunks of them! And yet, I’d hate to let go of them. While I’d like to think that “the memories” would be enough, as I age, I need the help of the tangible, sometimes, to help me remember “who, what, where, when, and why.” For me, it is less about hanging on to life, as much as to helping me remember life. Yours is a much saner, healthier reason for retaining all those boxes, Kergan. 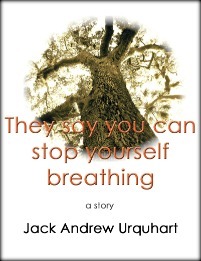 Jack, you could be telling my story! I was going to put a longer comment here, but I decided it would make a great basis for a blog post of my own! So stay tuned! I’ll be “tuning in” all right, but I can’t imagine you’ve more ‘stuff’ than I. Unfortunately, I’ve gotten sidetracked onto other post topics, but this is on my list for sure! And I’ll bet I did have more stuff that you do, right after my mother died! Oh, sweet Jesus, tell me about it! I have boxes inside other boxes. This is a subject that everyone can relate to. I sometimes think that “stuff” comes in stages. Lately, most of my friends are in the “get rid of stuff” phase, living with less clutter and only holding on to what is the most important. I look at all my stuff in the garage and wonder when it will be my turn to start paring down. I am sorry to hear that you must move again. From your article, it does not sound like it is a move by choice. I wish you a safe journey to where ever you are traveling. Thanks for commenting, Wendy. I’ve got a garage full of stuff too, and I’m not looking forward to sorting through it for the umpteenth time. Maybe a garage sale would be easier? A garage sale is never a bad idea, either that or donating it to a worthy charity. Thanks for stopping by, Tasha. I relate to what you’ve written about the fear of losing a memory. Funny how an inanimate object can sometimes help hold us on a bit longer to moments gone by.